The School of Visual Arts’ MFA Social Documentary Film program teaches the artistic skills and techniques needed to tell compelling true stories that stimulate meaningful dialogue. 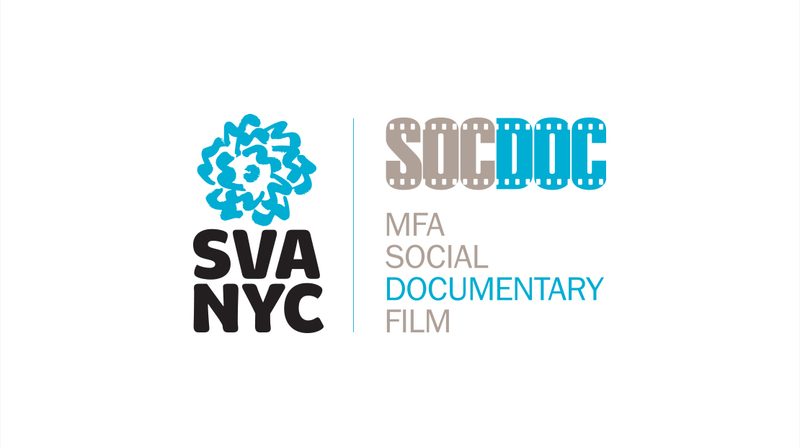 SocDoc not only teaches the fundamentals of good storytelling, but guides students toward a career in the thriving documentary industry. The award-winning faculty is helmed by producer Maro Chermayeff (Marina Abramovic: The Artist is Present), and includes Deborah Dickson (Lalee’s Kin), E. Donna Shepherd (Soundbreaking), Richard Hankin (The Jinx), Tom Hurwitz, ASC (Queen of Versailles), Ross Kauffman (E-Team), and Sam Pollard (4 Little Girls), among others. Program alumni have won Student Academy Awards® and have had their films screened theatrically, on television and in festivals worldwide. SVA’s showcase includes: Bird (USA, 9 min., Kate Fisher) profiles a Brooklyn, New York native who has found companionship since childhood in an unlikely creature. Sagacious Guyana-born Bob Man (USA, 8 min., Olivia Garzon), spend his days making African Crowns as the fastest crocheter in Prospect Park. A father and his overseas daughter have video call conversations about death and beyond in The Calling (USA, 9 min., Padcha Ithijarukul). In Dressed to Fight (USA, 7 min., Naijie Wang), a Chinese law school student in Harlem combats sexism and cyberbullying by making videos about diversity in fashion and beauty. In the Right Frame of Mind (USA, 8 min., Veronique Engel) profiles the framemakers of Quebracho in Bushwick, who work with the best museums worldwide to marry a painting and its frame. In New York City’s Chinatown, an old Chinese immigrant practices the age-old art of hand-pulling noodles in Noodle Soul (USA, 5 min., Hong Shanjia). On Track (USA, 8 min., Yunhong Pu) provides a tour of Bruce Zaccagnino’s obsession—Northlandz, the world’s biggest model railroad.